While water is something that makes up the majority of our bodies, and something we need to survive, it can also be a long term destructive substance in any indoor environment. Water flood damage can happen at any time, and when it does occur it is important that you treat the situation quickly. If left untreated water damage is sure to cause costly structural damage to your home or commercial space. Water may dissolve within most building materials and cause serious structural harm over time. Compromising the structure of your building may be a danger to you, your loved ones, and your employees. It may also make the value of your building worthless if you ever wish to sell. On top of structural harm, water may also cause mold to grow inside of your building. Breathing mold has health risk implications and may cause significant long term respiratory health issues. Local, unexpected flooding is perhaps the most visible and most well known cause of water damage. This is often the result of heavy local rainfall and downpours which can cause severe damage to your home. However, there are many other reasons why houses and commercial spaces may experience water damage. Structures may experience water damage due to groundwater leaks, plumbing failures, and even long-term humidity and moisture. Minor leaks may often be hidden and overlooked. Over a long period of time these minor leaks may lead to major issues that need repair. Places in your home such as wall cavities, ceilings, cupboards, closets, and attics are especially vulnerable to damage caused by humidity and moisture. These issues may result in mold growth, and even wood rot, which may not only damage your health, but also the structure of your home. Here at Organic Air Duct Cleaning our main passions and goals rest in providing services which ensure the peace of mind of our local community. In order for our community to thrive and have peace of mind they must know there is a reliable, professional service which they can call in times of need and during emergency situations. That is why we offer premier water damage repair services for our local community. If left untreated, water damage may compromise the structure of your building. Water damage may also lead to the growth of mold around your home. This is why it should not be taken lightly, as it can lead to issues which may put you, your loved ones, friends, and perhaps co-workers (if you are in a commercial setting), in great risk. 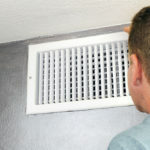 Call Organic Air Duct Cleaning today to ensure your safety and the safety of your loved ones.